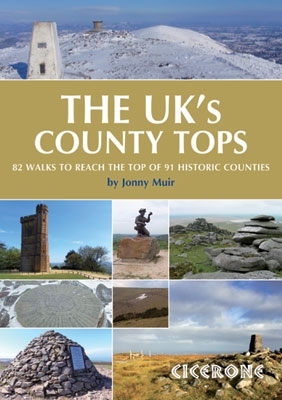 The UK’s County Tops: 82 walks to reach the top of 91 historic counties, was published on September 15, 2011, by Cicerone Press. The book is available on Amazon and at many Waterstone’s stores. For more information about the book, please visit the Cicerone Press website. A full list of the counties and county tops (in height order) included in the book is reproduced below.